ISB supports selected charities and organisations and encourages student awareness and engagement, thereby fostering a spirit of community at global and local levels. For several years, ISB has contributed regularly to a number of long-term service projects and charities. As a result, ISB students are able to comprehend, and sometimes witness first-hand, the ongoing positive impact of their involvement. In long-term partnership with the Aesch Gemeinde, ISB raises funds to support programs that enhance the lives of students attending the Paalga School in Ouagadougou, Burkina Faso. The money raised provides nutritious daily meals where CHF 5.50 provides lunch for a year to a child at school. A member of the Aesch Gemeinde visits ISB each year to talk about the project and tell students how the money was spent in support of other children. On 16 April 1997, the non-governmental organization, BLANSAL, was founded by Dessy and Volker Nack. BLANSAL provides children living in the streets of Arequipa the opportunity of a new beginning. Some of the different projects support single mothers gain a source of income, teach prevention against sexual abuse of children, and by supporting the work of foster homes.The first project carried out by BLANSAL was social work with adolescents living in the streets of Arequipa. From this beginning, other projects were carried out with the objective of improving the lives of disadvantaged people. Jacaranda Foundation is a nonprofit organization that educates and cares for orphans and the most vulnerable children in Malawi. It provides comprehensive care and education to 400+ students, and literacy outreach programs reach an additional 5,000 children. 98% of children served are orphaned due to HIV. The Foundation’s hope is to provide orphans with the skills, support and resilience to enter university or the workforce so they can support and care for themselves. 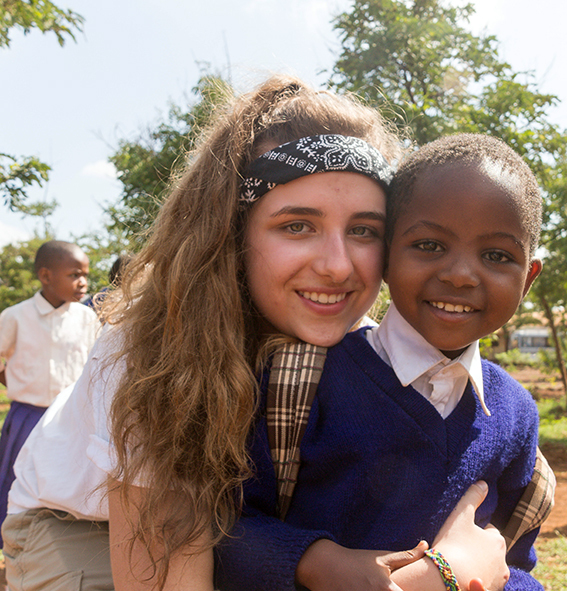 This long-established educational service trip funds multiple projects in South Africa (i.e. Reuben Monareng Primary School, Linawo Children’s Home, Siyazama Crèche). Aims of the service trip are many, including fighting prejudice against children by providing students with opportunities and amenities that facilitate learning and teaching, supporting cross-cultural understanding, and promoting service learning. Funds raised support projects in Tanzania such as Roots and Shoots, local schools, and the Opendo orphanage in Moshi. ISB students and staff raise funds through CAS (Creativity-Activity-Service) projects and travel to Tanzania to work directly with students and educators. ISB students observe firsthand how the United Nations “Right to Education” initiative is not yet a worldwide reality. Through the Terry Fox Foundation, ISB donates funds to the Swiss Pediatric Oncology Group. Money donated to SPOG aids the development of better treatment for children and adolescents with cancer. At SPOG, donations sustain the day-to-day care of children in treatment, coordination of ongoing study projects, organization of quality assurance, and managing regulatory requirements. Donations accelerate the implementation of new projects, eventually saving more lives and giving children with cancer a future. This NGO, founded after the December 2004 tsunami by staff member Sujeewa Fernando, finances the rebuilding of schools and homes hit hardest by the tsunami. Building began in Sri Lanka, one of the hardest hit countries, and has progressed to projects in the Philippines and Nepal. Building projects are a collaboration between local workers and volunteers from around the world. Building materials are locally sourced and support resident workers in the community. Since 2002, Tsunami-HANDAID has built 62 houses, 3 schools, and funded a dairy farm in Sri Lanka, built/re-built 4 schools in the Philippines, and built 2 schools in Nepal after the earthquake.